Make your own donation. Remember…if you don’t make a self donation, you could miss out on the fundraising gifts! New users will be able to create a new page, while returning users will simply log in. Now you’re registered as a Body By Jenn team member and can start fundraising! To personalize your individual page, you can visit your PARTICIPANT CENTER at any time…here you can add pictures, videos and your own reasons for Marching in the Mega March for Animals! The Participant Center is also where you can find pre-written emails that you should be mailing out to EVERYONE you know in order to raise money for these homeless animals!!! 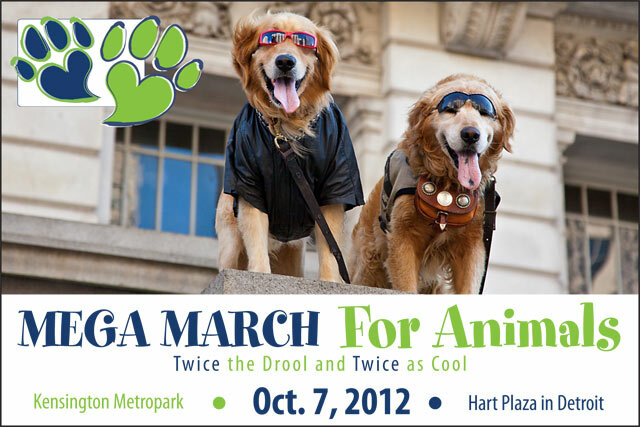 We need you to help make a difference by participating in the 6th annual Mega March for Animals, on Sunday, October 2nd. It’s the largest walk for animals in Michigan! 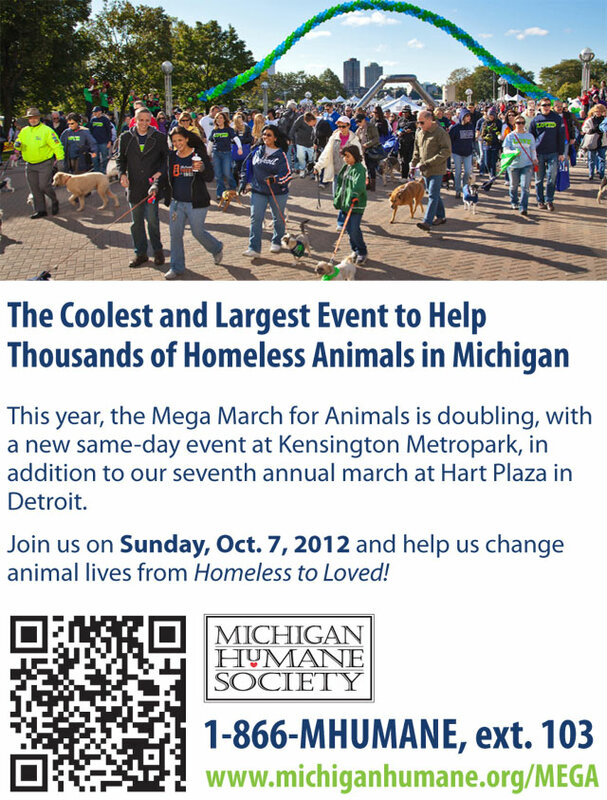 Register today at www.michiganhumane.org/MEGA and begin transforming animal lives from Homeless to Loved!